Nokian Tyres goes Tough Mudder all the way! Meet & follow Team Czech Republic to Tough Mudder! Click to view team member profiles and their updates! 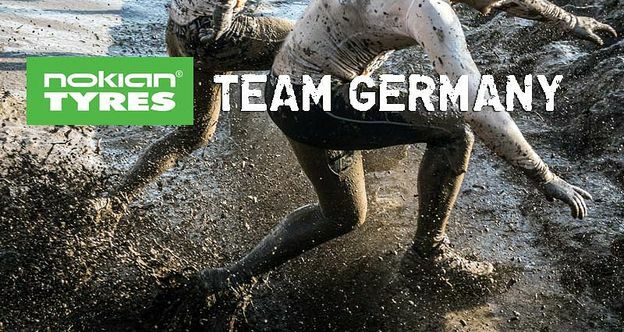 Meet & follow Team Germany to Tough Mudder! Meet & follow Team Finland to Tough Mudder! Meet & follow Team Norway to Tough Mudder! Meet & follow Team Sweden to Tough Mudder! Teknikträning på rep. Nu har jag ännu fler tips att dela ut! Go @firefitness_swe go go! (Eller, #debaframåt som Konstantin skulle sagt.) #blogg #superkroppen #toughest #toughviking #superiorocr #hinderbana #rep #tränasomenbrandman #softasomettproffs #firefitness Fler tips hos @firefitness_swe! Nokian Tyres is a sponsor of Tough Mudder events in Central Europe.